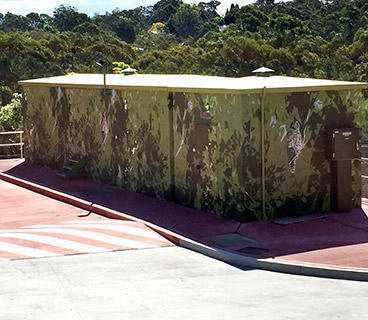 Modforms are deMaher’s range of re-locatable bunded buildings for the water industry. 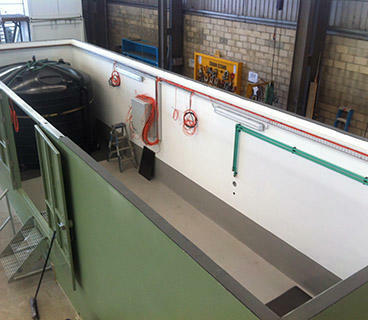 deMaher can customise a monolithic concrete water treatment facility to your specifications. From design of the containment structure to the complete fit out of all electrical and fluid management controls, we even build your switchboards in house. 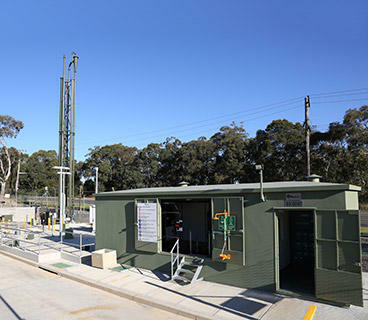 We deliver a turnkey fully relocatable treatment facility with the latest chemical dosing technology. 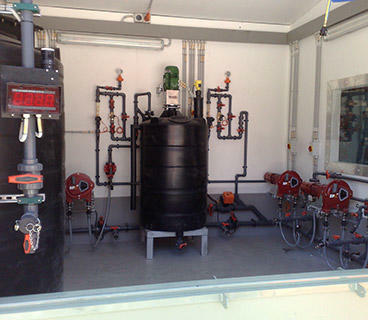 All of our water industry solutions focus specifically on control, containment and safety. Let deMaher work with you and your team to devise innovative customised solution. If you require potable water solutions such as the use of Sodium Hypochloride to eliminate disease-causing microorganisms, or the use of an oxidiser such as Potassium Permanganate deMaher is able to assist you. If you require waste water solutions such as the use of Ferric/Ferrous Chloride or Calcium Nitrate to manage sulphide concentration, or an alkalinity supplement such as Magnesium Hydroxide deMaher can assist you with all of your chemical dosing requirements. 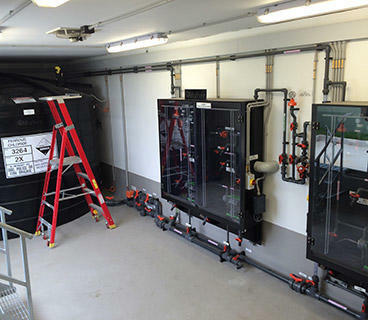 Standard bunded bulk storage relocatable buildings for process and spill containment to minimise the environmental impact, from spills and leaks are available from 1,000 to 31,000 Litters. Other non-standard units can be customised to suit your specific requirements, just contact us so we can assist you.